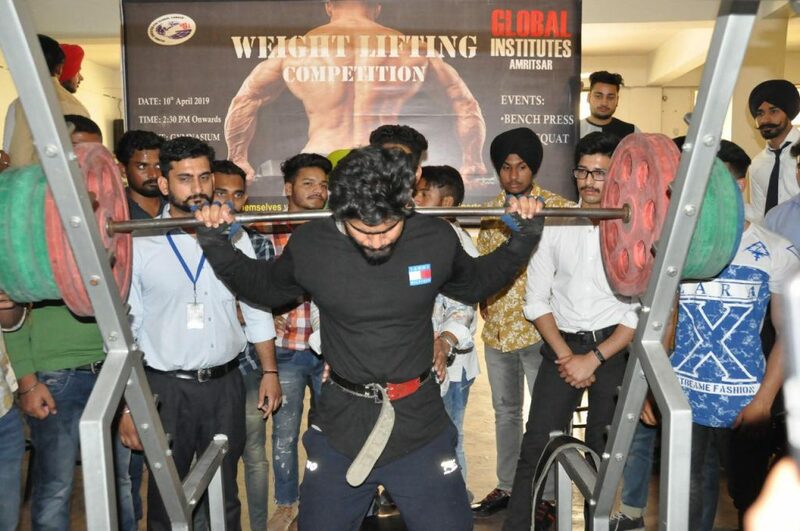 Weight Lifting Competition was organised at Global Institutes Amritsar. 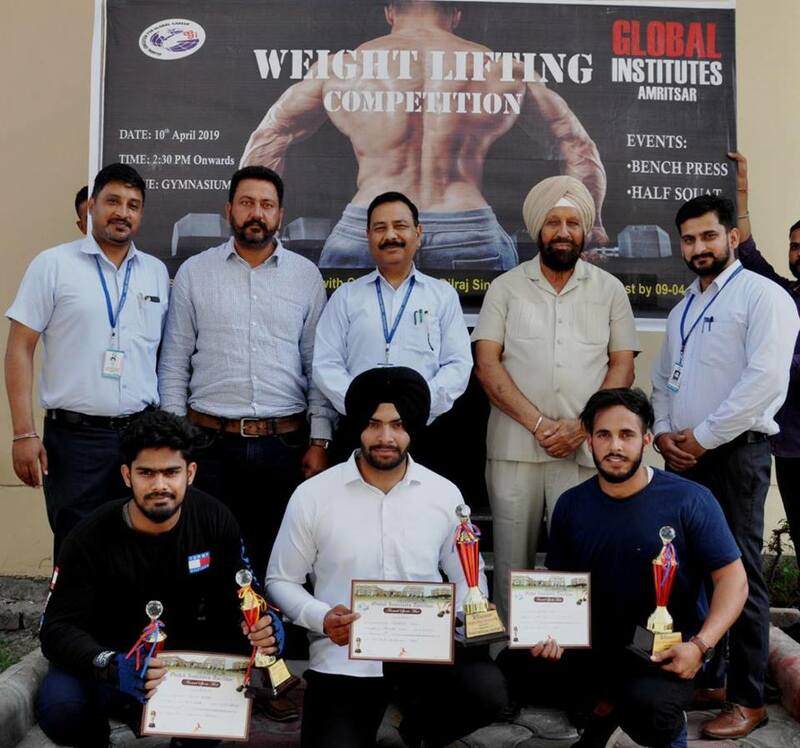 Mr. Gurpreet Singh of BHMCT 6th semester secured First position and Mr. Ayush Kumar, 6th semester Diploma ME secured Second position in Bench Press. In Half Squat, Mr. Sarabjot Singh, 6th semester, BHMCT secured First position and Mr Ayush Kumar stood second.